Major General the Honourable Michael Jeffery AC, AO(Mil), CVO, MC(Retd) is a former Governor-General of the Commonwealth of Australia, and a former Governor of Western Australia. He served operationally in the army in Malaya, Borneo, Papua New Guinea and Vietnam and commanded the Army’s 15,000 man 1st Division. He also served in various senior staff appointments in operations, logistics and equipment procurement. Peter Lindsay began a television career at Channel Seven Townsville in engineering, production, news, editorial and executive roles. He later owned and managed an electronics contracting business with a staff of 33. 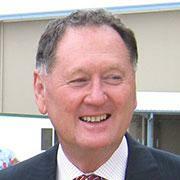 He was elected to the Townsville City Council for 5 terms followed by serving 5 terms in the Australian Parliament. He held a Defence ministerial portfolio with responsibility for the Defence Estate, Defence Science and Technology, the Reserves, the Defence Housing Authority and Defence cadets. He has chaired ASX listed Guildford Coal Limited and currently chairs IT services company, OriginNet and the James Cook University Clinical Purposes Building Trust following a term as Deputy Chancellor of the University. Andrew Phelan was the Chief Executive & Principal Registrar of the High Court of Australia from 2007 until 2018. From 1986 he held a number of senior government law enforcement, legal, international and general management positions. Andrew served as a Councillor, and remains a member, of the Australasian Institute of Judicial Administration. He was the Secretary of the Council of Chief Justices of Australia and NZ from 2007 until 2018. Andrew has degrees in Arts, Laws and Business and was admitted as a solicitor in 1978. He is a Fellow of the Institute of Managers and Leaders. 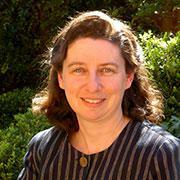 Anne Twomey is a Professor of Constitutional Law at Sydney University. She has practised as a solicitor and is admitted to practice in New South Wales, Victoria, the ACT, and the High Court. She has worked for the High Court of Australia as a Senior Research Officer, the Commonwealth Parliamentary Research Service as a researcher in the Law and Government Group, the Commonwealth Senate as Secretary to the Senate Legal and Constitutional Committee, and The Cabinet Office of NSW as Policy Manager of the Legal Branch. Her most recent book is The Veiled Sceptre – Reserve Powers of Heads of State in Westminster Systems (Cambridge University Press). Rodney Cavalier is a former Chairman of the Sydney Cricket Ground Trust and a former NSW Minister for Education. He is President of the Sydney Cricket Club, a Life Member of the SCG and an Honorary Life Member of the Marylebone Cricket Club. Rodney was previously deputy chairman of the National Council for the Centenary of Federation, chairman of the Sesquicentenary of Responsible Government in NSW and a member of the Council of the National Library and State Library of New South Wales. He has published books on the NSW Labor crisis of 2005-2009 and the sculptures at the Sydney Cricket Ground. He has written articles on NSW governors and premiers, the workings of cabinet, political cartoons, the uses of diaries and the first serious research into the family and social background of Donald Bradman and siblings. Emeritus Professor Geoffrey Blainey AC is an Author and Historian, Emeritus Professor at the University of Melbourne, and a governor of the Ian Potter Foundation. Emeritus Professor Geoffrey Bolton AO is Chancellor and Emeritus Professor at Murdoch University and ABC Boyer Lecturer 1992. Professor Greg Craven is the Executive Director of the John Curtin Institute of Public Policy and Chair in Government and Constitutional Law at Curtin University. He was also a member of the ‘Yes’ Committee in the 1999 Republic Referendum. Dr John Hirst is an Author and Historian at La Trobe University. He was formerly a member of the Prime Minister's Republic Advisory Committee, Chair of the Commonwealth Civics Education Group, and is currently a Council Member for the National Museum of Australia. Major General W B Digger James AC AO (Mil) MBE MC is a company director and former Director-General of Army Health Services, and former National President of the RSL 1993-1997. Associate Professor Gregory Melleuish is an Associate Professor in History at the University of Wollongong. Since 2000 he has been the President of the Asia Pacific Affiliate Branch of the World History Association. Greg has also published a number of articles on world history and political theory including a chapter on the utility of the idea of ‘clash of civilisations’ for understanding history and a recent article on the idea of ‘commonwealth’. 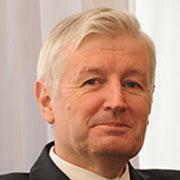 Sir David Smith KCVO AO is a visiting scholar at the Faculty of Law at Australian National University. He is Director of the Winston Churchill Memorial Trust. Mr. Hugh Morgan AC is a Director of the Board of the Reserve Bank of Australia, President of the Business Council of Australia, Co-Chair of the Commonwealth Business Council; President of the Australia Japan Business Co-operation Committee. The Honourable Sir Laurence Street AC KCMG KStJ QC is a Commercial Mediator and Disputes Consultant. He is a former Chief Justice of the Supreme Court of NSW and Lieutenant Governor of NSW. He is a former Chairman of John Fairfax Holdings Ltd.